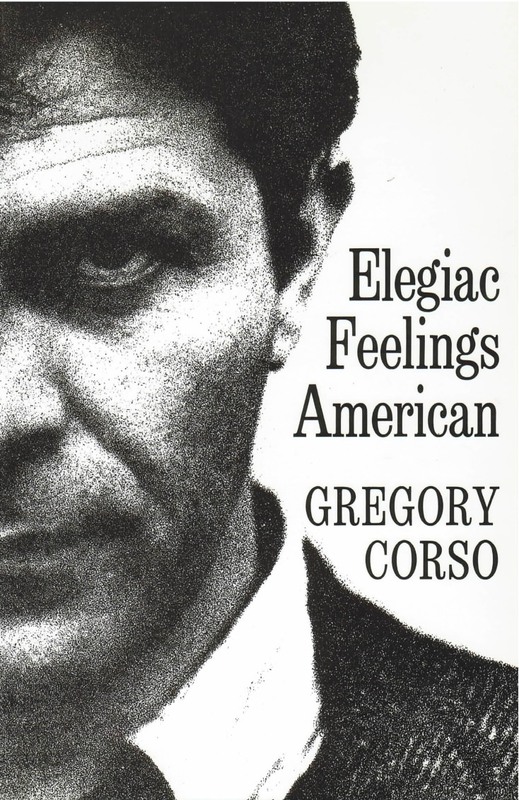 Gregory Corso’s collection of poems, the first in eight years, contains works of major proportions. The title poem is a tribute to Jack Kerouac, fusing a memorial to the poet’s dead friend with a bitter lament for the present state of America. The second major work, “The Geometric Poem,” published previously in a limited edition by Fernanda Pivano in Italy, is a complex visionary restatement of themes from ancient Egyptian religion. Reproduced in facsimile from Corso’s handwritten sheets, his marginal decorations, drawings and glyphs are included. The balance of the book is drawn from his shorter poems. Corso’s reputation as a leading poet and co-founder of the Beat movement is clearly upheld in these poems. His instinct for integrated lyrical statement, his special contribution to Beat poetry, is as strong as ever; his sense of humor and sexuality have not diminished. But he has added a wider-ranging moral urgency and a new depth of humane solicitude that hold even his strangest visions close to the heart of contemporary feeling.